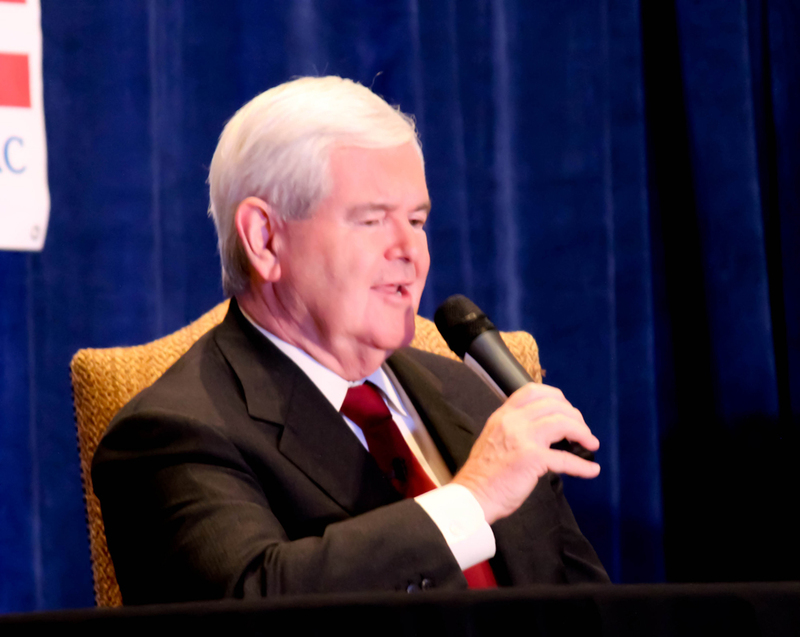 The content was more immediately relevant over the questions being raised over Newt Gingrich’s comments relative to immigration than of what I had mostly written, but can wait. In defending both his and Perry’s record and posture on immigration, I think we should have a fuller discussion on the entire state of the matter, which seems lacking in or amid this hornet’s nest that is so easily aroused. I wrote somewhere else that the two ways to draw swarms of fervent comment on the Internet are 1) to discuss Ron Paul, or 2) to discuss immigration. Why are people so heated about immigration? I know, I know…it’s ILLEGAL immigration, right?. Hey, I believe in the integrity of the law, too. But A) our most basic social law, The Constitution, has been roundly flouted for my entire life, usually with little similar outrage. And B) this particular law is not so fundamental, and the stakes are matters both of human decency and cultural survival. And no, I don’t mean the survival of Mexican culture in America. I mean the survival of true American culture; one of free personal and commercial industry in the context of basic moral standards. Such a cultural context has been under assault in popular culture for over 60 years and in academia longer than that. The truth is, that education and media have polluted that standard in now generations of American citizens, so that for many it is unrecognizable and easily compromised. For many years, I have been radically on the other side of what is said to be the “conservative” posture on immigration (I don’t think it IS). I think Hispanics are unique among immigrants because most of them have a Christian heritage, strong families, and a strong work ethic (I’ve seen it all over Houston). We desperately NEED immigrants to save America. Americans’ perspective has been warped, and we are barely at replacement reproduction rates anyway. We can’t come anywhere close to producing enough to meet our debt and contractual obligations. Most Hispanics are best prepared to embrace true American values, if someone will hold them up. The pop/media culture isn’t going to do it. Nor is the education system or most Americans, especially on the left. And the most assertive conservatives are the ones who are howling about deporting the lot of illegal immigrants, which neither should or can be done. That’s a darned shame. Are there dangerous and parasitic elements among Hispanics? Of course, but that’s a matter of being HUMAN, not Hispanic. Dangerous elements should be dealt with as any other criminal. I think Gingrich’s proposal is the best on the table. As local elements as possible should evaluate illegal immigrants as to their contribution to and participation in community, in order to assess their eligibility for LEGALITY, not CITIZENSHIP. Amnesty would imply the benefits of citizenship, which should be acquired in a legal process, though that process should be expedited in approving the worthy and sorting out the unworthy. I also think Perry’s posture about in-state tuition for the children of illegal immigrants who had graduated public high schools and were applying for citizenship, was the correct one. The bill had easily passed a Republican-dominated legislature. Talk against that is just noise and no reasonable response at all. And ALL residents pay the sales taxes in Texas that support the public schools. Perry’s choice of words about opponents “having no heart” needlessly aggravated some, but he did think his was the reasonable and fair position to take. And, I don’t think most peoples’ motivations are purposely bigoted, though other immigrants have always been welcome. I used to live in Detroit, where the Canadian border was regularly crossed and worker nationality was no issue, except that non-citizens had no citizen responsibilities or benefits. But I assure you, many Hispanics do feel discriminated against. Minorities always do and normal human history is that they often are, particularly if there are significant physical and/or cultural distinctions. This has been historically true all over the world. But the biggest problem with illegal immigration is the state of the law, not necessarily the immigrant. Never before in our history has immigration been such a problem. Immigrants have always come from all over the world. Applying for citizenship was always an option. Working non-citizens were always legal…until we “closed” the border legally if not physically. I posted in June of last year, how economist Milton Friedman had explained in the 80s how an entitlement society had corrupted the benefit of immigrants to all parties and created a market for illegal immigrants. I’m sick of hearing supposed conservatives bark about immigration and of media describing a harsh posture toward immigration as a Republican doctrine. Talk of “our jobs,” and protectionism used to be the domain of Democrats, not Republicans. Republicans need to rediscover their principles and welcome immigrants again while correcting our entitlement society. THAT’S the big issue that has to be addressed. At this point, immigration isn’t even a side show. I think what the Obama/Biden Administration accomplished is genius. The way I see it, President Obama has given the Republican Monkeys enough rope to hang themselves with. If nothing else they’ve exposed themselves to the wrath of GOD! Anyone with half a brain tied behind their back can see the GREEDY evil nature and low grade thought processes of Republicans. If one was REALLY a “great American” they would take a SECOND TO THINK about and then the 5 minutes it takes to Goggle fact check what Republicans in Congress, Conservative spokespersons and history revisionists like Newt Gingrich are propagating. Progressives already KNOW the TRUTH AND THAT IS WHY WE ARE WORKING SO HARD AGAINST THE Republican Corporate Socialist Party. The maddening part of this phenomenon is that Republicans/Conservatives either refuse or don’t possess the capacity to ADMIT THEY WERE WRONG! These shameless, right-wing hypocrites constantly make WEAK excuses, avoid accountability like the plague and dance around any issue like Charles Krauthammer… lol. Only in right-wing world can silver spoon LOSERS like Sarah Palin, William Kristol, Ann Coulter, George W. Bush, Jonah Goldberg and Newt Gingrich make a good living from being WRONG ALL THE TIME! Let’s not forget Reagan/Bush trashing anti-Trust, union busting and DEREGULATION. The ROOT of all future Corporate scandal. We must go to the 90’s with Newt Gingrich/Tom Delay/Phil Gramm Republican’s to find out how Republicans sold out the American middle/working class. I wanted to ask the Grich about all the hidden legislation such as the “Expatriate Clause” in Clinton’s Family Leave bill. It allowed the super rich (multinational Corporations, Saudi royals, drug trafficers, etc) take their billions out of the country PENALTY FREE! While Republicans were waving the American flag and professing love of the USA, behind the scenes they were busy selling out our children’s future. Explain to me please Newt, what good can come from the US Congress insuring the venture capital of Corporations that move American jobs to Communist China? Why should Americans TRUST Gingrich or ANY Republican ever again? Hey FBI, ever hear of the R.I.C.O. Act? I know, I KNOW… it’s just a coincidence every time a Bush is in the White House the American PEOPLE have to suffer through banking fraud, scandal and corruption… OR that Republicans are solidly behind tax cuts except for payroll tax cuts because that doesn’t affect their rich, silver spoon, trust fund baby masters.